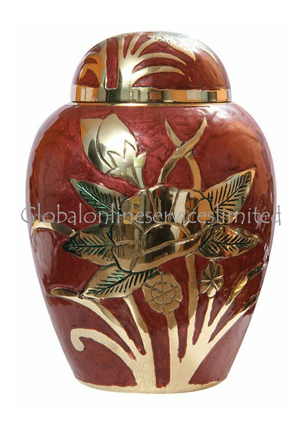 Midsized Gold floral pink memorial urn is presented to store ashes of the cremated and one who wish to personalize a mid sized urn. The medium cremation urns are engraved in pink enamel with a smooth finishing on the exterior, presented from skilled professional. 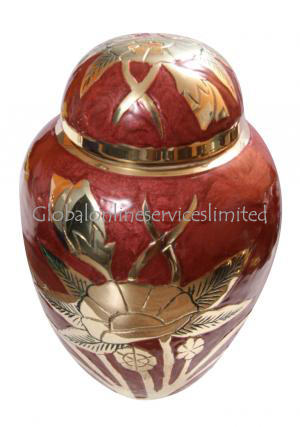 The medium memorial urn is decorated in golden flowering curved to perfection. Mid-size funeral urn has a threaded screw on the top for a easy enclosure of ashes into the urn and secure them. 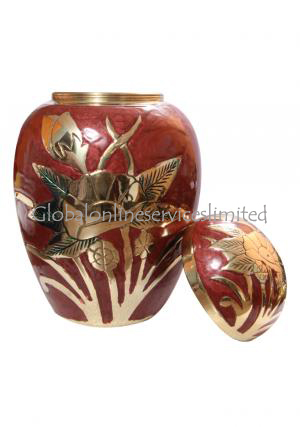 The urn is measured to 7.48” inches height, 5.12” inches width and weighs around 1.22 Kg. 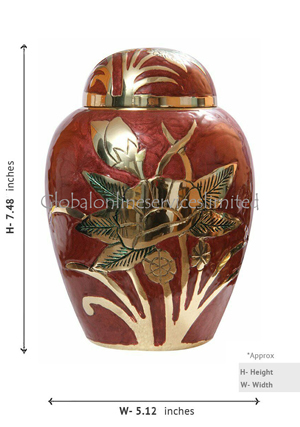 Cremation urn would make it to a perfect fit and matches the interior. The lid of the urn is engraved in flowers with an edge of banded gold.